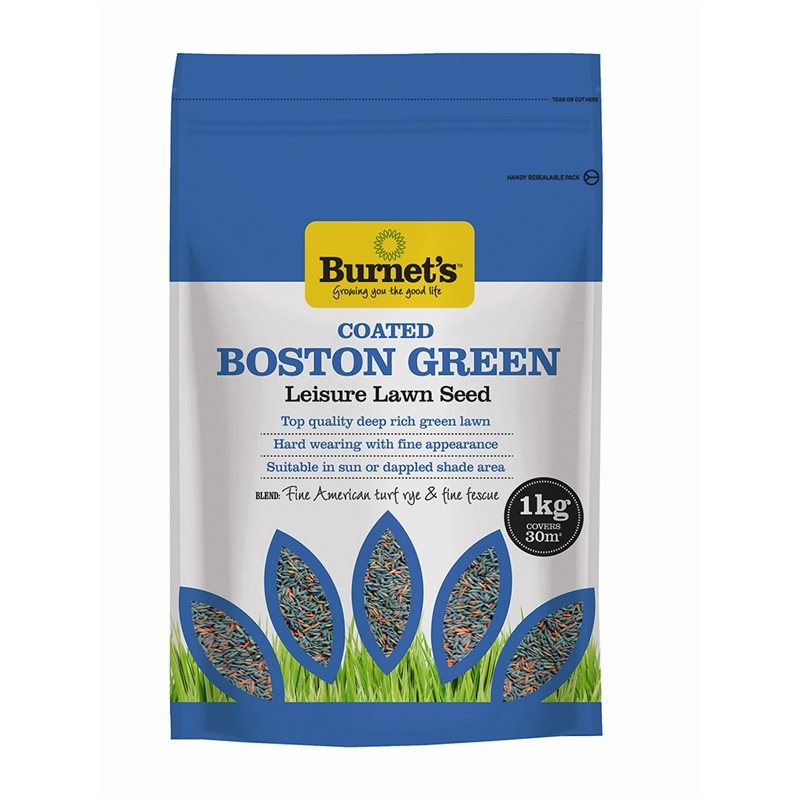 Boston Green Leisure Lawn (coated). Consists of Fine Turf Ryegrass and Fine Fescue. Extremely versatile lawn suitable for numerous situations, tolerant of disease, drought and heavy wear once established. Ideal for heavy traffic areas, playgrounds, BBQ areas and tennis courts. 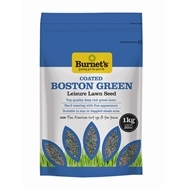 Boston Green will provide a top quality lawn that requires less mowing. Suitable in sunny or dappled shade areas.